Cyrano De Bergerac meets Cinderella. Over-worked, harried and terrified of being put back in foster care, 17 year old Katie (Lucy Hale) does her stepmother and step-siblings' bidding without complaining. Vocally gifted, Katie feels particularly upset when forced to lay down singing tracks so that her untalented stepsister, Bev Van Ravensway, can hopefully win a recording contract from Massive Records–whose company President, Harvey Morgan, is scouting for new spectacular talent at a talent showcase for the Performing Arts Department at a prestigious private school. 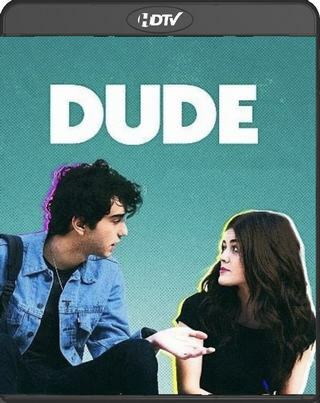 Starring: Lucy Hale, Freddie Stroma, Missi Pyle, Megan Park, Matthew Lintz, Manu Narayan, Jessalyn Wanlim, Titus Makin Jr. Tags: Damon Santostefano, Freddie Stroma, Jessalyn Wanlim, Lucy Hale, Manu Narayan, Matthew Lintz, Megan Park, Missi Pyle, Titus Makin Jr. The 2013 Teen Choice Awards was held on August 11, 2013 and broadcast on Fox. The awards celebrate the year's achievements in music, film, television, sports, fashion, comedy and the Internet, and are voted on by teen viewers aged 13 through 19. This will be the last Teen Choice Award ceremony to take place at the Gibson Amphitheatre due to the venue closing down in September 2013, to make room for The Wizarding World of Harry Potter. The Twilight Saga: Breaking Dawn – Part 2 won eight of its nine nominations (although one of its losses was to itself), Pretty Little Liars won all of its seven nominations, pushing the series' total to eighteen Teen Choice Awards, Pitch Perfect won four of its eleven, Glee won four and Bruno Mars won two of their eight, respectively, Taylor Swift won two of her seven, and Demi Lovato won four of her six, One Direction won all six of their nominations (including the awards received by Harry Styles), remaining undefeated at the Teen Choice Awards, Selena Gomez won three of her six nominations and Miley Cyrus won three of her six nominations. he Young Hollywood Awards is an award presented annually which honors the year's biggest achievements in pop music, movies, sports, television, fashion and more, as voted on by teenagers aged 13-19 and young adults. The award ceremonies also honor rising and promising young aged performers in Hollywood. The award ceremony usually features a high number of celebrities and musical performers such as Taylor Swift, Justin Bieber, and Nick Jonas. New artists such as Black Cards have also performed. The Young Hollywood Awards was started in 1999.